Everything You Need to Know About the Law of Hazardous Waste. 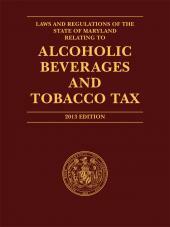 • liability under Superfund and its state analogs, as well as other federal environmental statutes that regulate and impose liability for hazardous substance management. • There is also coverage of international regulations and programs affecting the transport and management of hazardous waste. The Law of Hazardous Waste: Management, Cleanup, Liability, and Litigation spells out your client's legal responsibilities so that you can help your client avoid liability and severe civil and criminal penalties. From minimizing your client's environmental liability at the outset of a corporate transaction to managing, treating and storing hazardous waste, this comprehensive legal resource provides you with complete, step-by-step guidance of this broad and complex area of law. Support Your Client's Position with Current Case and Statutory Law. 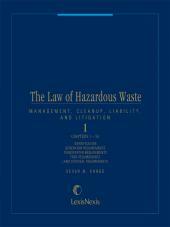 Updated twice annually, this treatise provides you with comprehensive coverage of the latest legislation, regulations, and cases decided nationally that affect the law of hazardous waste. 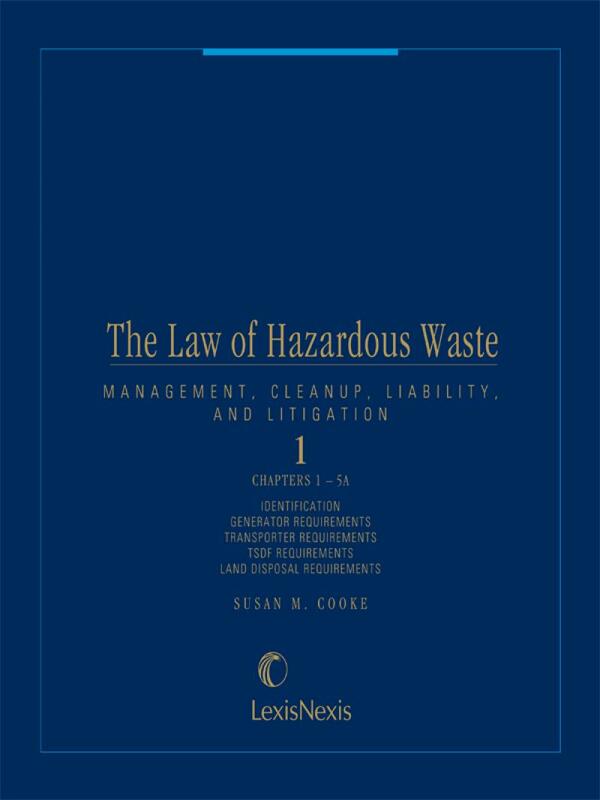 The Law of Hazardous Waste: Management, Cleanup, Liability, and Litigation is often cited by the courts nationwide. Partner-up with an Environmental Expert. 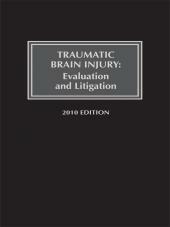 General Editor and co-author, Susan M. Cooke, P.C. is a partner at the office of McDermott, Will & Emery in Boston, Massachusetts, and co-chairs the firm's Environmental Law Group. She received an A.B. in chemistry from Emmanuel College, a J.D. from the Boston University School of Law, and subsequently studied electrical engineering at the Massachusetts Institute of Technology. 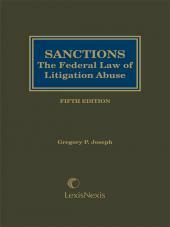 She is listed in Who's Who in American Law and in Best Lawyers in America and is a member of the Natural Resources Committee of the American Bar Association, as well as of the Environmental Controls Committee of the ABA's Business Law Section where she has chaired the Hazardous Waste Subcommittee. Before entering private practice, Ms. Cooke served as a corporate patent attorney and as enforcement attorney at the United States Environmental Protection Agency. Ms. Cooke's environmental practice covers a wide range of environmental and health and safety issues and includes extensive work on regulatory compliance matters, facility permits and audits, and environmental impact reviews. She was an originator of environmental opinion letters which are now used across the country in real estate and corporate transactions. Ms. Cooke has been a lecturer for several American Bar Association seminars on environmental law and is co-editor and contributing author of a book on Massachusetts' environmental requirements. In addition, she has authored several publications for the Massachusetts Continuing Legal Education program and is a member of its advisory committee on environmental programs. She has also authored various legislative initiatives and regulatory proposals, including confidential business information provisions for state legislation and federal regulations. Ms. Cooke has been a chief negotiator for generators' steering committees at several Superfund sites, and has played a leading role in a number of Superfund settlements.